70th Anniversary of the Malalasekara’s English Sinhala Dictionary a publication of M D Gunasena Company falls on September 15. The Dictionary emerged in 1948 and the first preface of Prof Gunapala Malalasekara is dated September 15, 1948, while he was academic of par - excellence and a preeminent scholar at the University of Ceylon. After an interval of six years in the year 2000 at the eve of the millennium the Dictionary was completely revised as the fourth edition, was expanded and updated with a board comprised of Prof A J Gunawardena, Prof Chandrasiri Palliyaguru, Piyadasa Hettihewa, Athula Manchanayaka and Percy Jayamanna functioning as the coordinating editor. 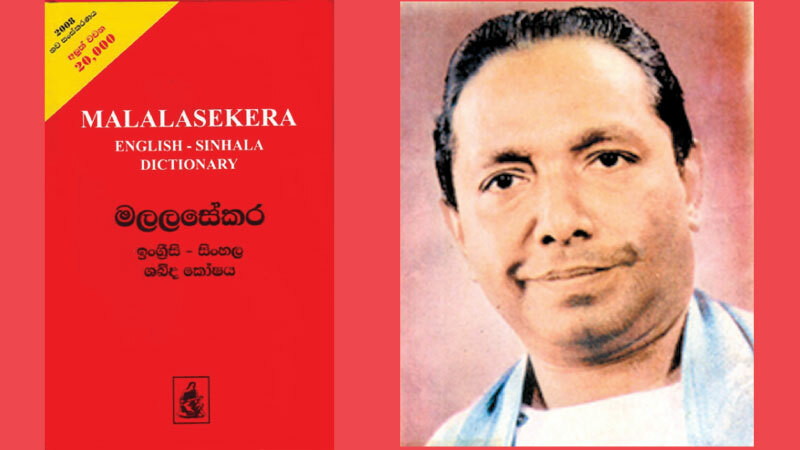 This edition of the Malalasekara English-Sinhala Dictionary was a landmark as it marked the Golden Jubilee year of the Dictionary which coincided with the birth centenary of Prof G P Malalasekara. The publisher’s prefatory note on May 3, 2000, asserted: “The never-ending popularity of this Dictionary vouched for by the fact that its sales have far reached those of any other similar publication in Sri Lanka”. The fifth edition of the Dictionary the editorial consultants, comprised Professor Chandasiri Palliyaguru, Dr Edwin Ariyadasa, Prof. R.D. Gunarathne Dr Harischandra Wijayathunga, Piyadasa Hettihewa, Athula Manchanayake. The editorial team comprised Thusitha Malalasekara, A S Gunawardana and D D S Jayasundera. The coordinating editor was Percy Jayamanna. Malalasekara English - Sinhala Dictionary is a towering landmark which is a gift for posterity. This Dictionary would continue to serve its readers as an epitome of legacy as a significant intellectual repast.